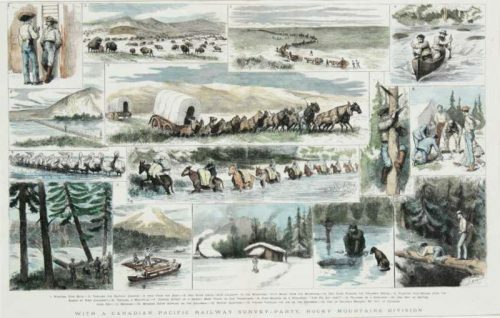 A double page hand colored wood engraving supplement to the 1884 Harpers Weekly publication. The journey illustrated here goes thru Montana , Calgary, the Columbia rapids, and the adventures the team went thru as they traveled. 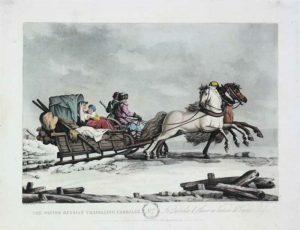 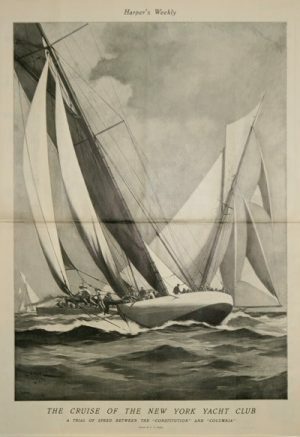 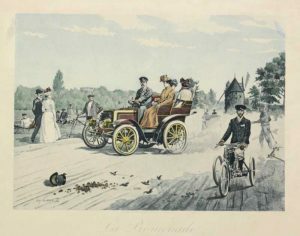 A very nice historical print in good condition.